Priced below KBB Fair Purchase Price! PRE-AUCTION PRICED! !, LOCATED AT HEADQUARTER HONDA..., No accident history and one owner on Carfax, Limited Lifetime Car Washes, Safety Inspected and Serviced for Worry Free Driving, LOW FINANCING AVAILABLE, Balance of Remaining Factory Powertrain Warranty, New Tires, Well Maintained!, EASY ON THE BUDGET, Mazda3 i Touring, Air Conditioning, AM/FM radio, Front Bucket Seats, Front fog lights, Power windows, Radio data system, Rear window defroster, Remote keyless entry. Odometer is 9119 miles below market average! 30/40 City/Highway MPG Awards: * 2015 KBB.com 10 Best Late-Model Used Cars Under $15,000 * 2015 KBB.com 10 Best Sedans Under $25,000 * 2015 KBB.com 10 Tech-Savviest Cars Under $20,000 * 2015 KBB.com Brand Image Awards We are conveniently located just a few minutes West of Downtown Orlando, just off the Florida Turnpike between Winter Garden and Clermont! It’s one of the easiest drive in Central Florida! Remember: "Headquarter Honda Gets You There!" So take the easy drive from almost anywhere in Central Florida to visit us or just call one of our Professional Inventory Specialist for more information and schedule a VIP appointment. Priced below KBB Fair Purchase Price! PRE-AUCTION PRICED! !, LOCATED AT HEADQUARTER Honda..., No accident history on Carfax, Leather, Safety Inspected for Worry Free Driving, AS-IS NO WARRANTY, CASH ONLY..., Pilot EX-L, Air Conditioning, CD player, Power steering, Power windows, Rear window defroster. Awards: * 2008 KBB.com Brand Image Awards 2016 Kelley Blue Book Brand Image Awards are based on the Brand Watch(tm) study from Kelley Blue Book Market Intelligence. Award calculated among non-luxury shoppers. For more information, visit www.kbb.com. Kelley Blue Book is a registered trademark of Kelley Blue Book Co., Inc. We are conveniently located just a few minutes West of Downtown Orlando, just off the Florida Turnpike between Winter Garden and Clermont! It’s one of the easiest drive in Central Florida! Remember: "Headquarter Honda Gets You There!" So take the easy drive from almost anywhere in Central Florida to visit us or just call one of our Professional Inventory Specialist for more information and schedule a VIP appointment. PRE-AUCTION PRICED! !, LOCATED AT HEADQUARTER HONDA..., No accident history and one owner on Carfax, Limited Lifetime Car Washes, Safety Inspected for Worry Free Driving, Balance of Remaining Factory Powertrain Warranty, Well Maintained!, LIMITED FINANCING AVAILABLE, Elantra GLS, 4D Sedan, 60/40 Split Fold-Down Rear Seatback, ABS brakes, AM/FM radio: XM, Brake assist, Illuminated entry, Power door mirrors, Radio: Autonet AM/FM/CD/MP3 w/SiriusXM Satellite, Remote Keyless Entry System w/Alarm, Speed-sensing steering, Telescopic Steering Wheel, Traction Control System. 28/38 City/Highway MPG We are conveniently located just a few minutes West of Downtown Orlando, just off the Florida Turnpike between Winter Garden and Clermont! It’s one of the easiest drive in Central Florida! Remember: "Headquarter Honda Gets You There!" So take the easy drive from almost anywhere in Central Florida to visit us or just call one of our Professional Inventory Specialist for more information and schedule a VIP appointment. PRE-AUCTION PRICED! !, LOCATED AT HEADQUARTER HONDA..., No accident history and one owner on Carfax, Limited Lifetime Car Washes, Safety Inspected and Serviced for Worry Free Driving, LOW FINANCING AVAILABLE, Well Maintained!, Sentra S, Air Conditioning, AM/FM/CD Audio System, CD player, MP3 decoder, Power steering, Power windows, Rear window defroster, Remote keyless entry, Traction control. 30/39 City/Highway MPG We are conveniently located just a few minutes West of Downtown Orlando, just off the Florida Turnpike between Winter Garden and Clermont! It’s one of the easiest drive in Central Florida! Remember: "Headquarter Honda Gets You There!" So take the easy drive from almost anywhere in Central Florida to visit us or just call one of our Professional Inventory Specialist for more information and schedule a VIP appointment. Priced below KBB Fair Purchase Price! PRE-AUCTION PRICED! !, LOCATED AT HEADQUARTER HONDA..., No accident history on Carfax, Limited Lifetime Car Washes, Safety Inspected and Serviced for Worry Free Driving, Well Maintained!, LIMITED FINANCING AVAILABLE, Camry SE, ABS brakes, Air Conditioning, Electronic Stability Control, Heated door mirrors, Illuminated entry, Leather Shift Knob, Low tire pressure warning, Power windows, Radio: AM/FM/CD Player w/6.1" Touch Screen, Rear window defroster, Remote keyless entry, Traction control. 25/35 City/Highway MPG Awards: * 2014 KBB.com 10 Best Hybrids Under $30,000 * 2014 KBB.com 10 Best Used Family Cars Under $15,000 * 2014 KBB.com 10 Best Late-Model Used Cars Under $15,000 * 2014 KBB.com Best Resale Value Awards We are conveniently located just a few minutes West of Downtown Orlando, just off the Florida Turnpike between Winter Garden and Clermont! It’s one of the easiest drive in Central Florida! Remember: "Headquarter Honda Gets You There!" So take the easy drive from almost anywhere in Central Florida to visit us or just call one of our Professional Inventory Specialist for more information and schedule a VIP appointment. Priced below KBB Fair Purchase Price! PRE-AUCTION PRICED! !, LOCATED AT HEADQUARTER Honda..., No accident history on Carfax, Leather, Limited Lifetime Car Washes, Safety Inspected for Worry Free Driving, Well Maintained!, AS-IS NO WARRANTY, LIMITED FINANCING AVAILABLE, CR-V EX-L, 17" x 6.5" Alloy Wheels, ABS brakes, Air Conditioning, CD player, Electronic Stability Control, Front dual zone A/C, Front fog lights, Heated front seats, Leather-Trimmed Seats, Overhead airbag, Power door mirrors, Power moonroof, Power windows, Radio: AM/FM/CD Audio System w/XM Radio, Remote keyless entry, Security system, Speed control, Speed-sensing steering, Speed-Sensitive Wipers, Steering wheel mounted audio controls, Telescoping steering wheel. 23/31 City/Highway MPG Awards: * 2012 KBB.com Brand Image Awards 2016 Kelley Blue Book Brand Image Awards are based on the Brand Watch(tm) study from Kelley Blue Book Market Intelligence. Award calculated among non-luxury shoppers. For more information, visit www.kbb.com. Kelley Blue Book is a registered trademark of Kelley Blue Book Co., Inc. We are conveniently located just a few minutes West of Downtown Orlando, just off the Florida Turnpike between Winter Garden and Clermont! It’s one of the easiest drive in Central Florida! Remember: "Headquarter Honda Gets You There!" So take the easy drive from almost anywhere in Central Florida to visit us or just call one of our Professional Inventory Specialist for more information and schedule a VIP appointment. Recent Arrival! PRE-AUCTION PRICED! !, LOCATED AT HEADQUARTER HONDA..., Limited Lifetime Car Washes, Safety Inspected and Serviced for Worry Free Driving, LOW FINANCING AVAILABLE, Balance of Remaining Factory Powertrain Warranty, Well Maintained!, EASY ON THE BUDGET, ABS brakes, Air Conditioning, Panic alarm, Power steering, Power windows, Radio: AM/FM/MP3 Audio System, Rear window defroster, Remote keyless entry, Speed control, Traction control. 24/30 City/Highway MPG Awards: * ALG Residual Value Awards * 2015 KBB.com 15 Best Family Cars We are conveniently located just a few minutes West of Downtown Orlando, just off the Florida Turnpike between Winter Garden and Clermont! It’s one of the easiest drive in Central Florida! Remember: "Headquarter Honda Gets You There!" So take the easy drive from almost anywhere in Central Florida to visit us or just call one of our Professional Inventory Specialist for more information and schedule a VIP appointment. Recent Arrival! PRE-AUCTION PRICED! !, LOCATED AT HEADQUARTER HONDA..., Fresh Trade. Still in Service, No accident history and one owner on Carfax, Limited Lifetime Car Washes, Well Maintained!, Elantra GLS, 4D Sedan, ABS brakes, Bumpers: body-color, Delay-off headlights, Illuminated entry, Power door mirrors, Power windows, Premium Cloth Seating Surfaces, Radio: Autonet AM/FM/CD/MP3 w/SiriusXM Satellite, Remote keyless entry, Remote Keyless Entry System w/Alarm, Security system, Steering Wheel Mounted Cruise Control, Telescopic Steering Wheel, Traction Control System. Odometer is 47723 miles below market average! 28/38 City/Highway MPG We are conveniently located just a few minutes West of Downtown Orlando, just off the Florida Turnpike between Winter Garden and Clermont! It’s one of the easiest drive in Central Florida! Remember: "Headquarter Honda Gets You There!" So take the easy drive from almost anywhere in Central Florida to visit us or just call one of our Professional Inventory Specialist for more information and schedule a VIP appointment. Priced below KBB Fair Purchase Price! PRE-AUCTION PRICED! !, LOCATED AT HEADQUARTER HONDA..., No accident history on Carfax, Limited Lifetime Car Washes, Safety Inspected and Serviced for Worry Free Driving, LOW FINANCING AVAILABLE, Balance of Remaining Factory Powertrain Warranty, Well Maintained!, EASY ON THE BUDGET, Renegade Latitude, 6 Speakers, ABS brakes, Alloy wheels, Electronic Stability Control, Front fog lights, Fully automatic headlights, Illuminated entry, Panic alarm, Quick Order Package 27J, Radio data system, Roof rack: rails only, Steering wheel mounted audio controls, Telescoping steering wheel. 22/31 City/Highway MPG Awards: * 2016 KBB.com 10 Best SUVs Under $25,000 * 2016 KBB.com 10 Most Fun SUVs * 2016 KBB.com 10 Best All-Wheel Drive Vehicles Under $25,000 We are conveniently located just a few minutes West of Downtown Orlando, just off the Florida Turnpike between Winter Garden and Clermont! It’s one of the easiest drive in Central Florida! Remember: "Headquarter Honda Gets You There!" So take the easy drive from almost anywhere in Central Florida to visit us or just call one of our Professional Inventory Specialist for more information and schedule a VIP appointment. Priced below KBB Fair Purchase Price! PRE-AUCTION PRICED! !, LOCATED AT HEADQUARTER Honda..., No accident history on Carfax, Leather, Limited Lifetime Car Washes, Safety Inspected for Worry Free Driving, New Tires, Well Maintained!, CR-V EX-L, 17" x 6.5" Alloy Wheels, ABS brakes, Bumpers: body-color, Compass, Electronic Stability Control, Front dual zone A/C, Front fog lights, Heated front seats, Leather-Trimmed Seats, Power moonroof, Radio: AM/FM/CD Audio System w/XM Radio, Remote keyless entry, Security system, Speed control, Speed-sensing steering, Speed-Sensitive Wipers, Telescoping steering wheel. Odometer is 2919 miles below market average! 23/31 City/Highway MPG Awards: * 2012 KBB.com Brand Image Awards 2016 Kelley Blue Book Brand Image Awards are based on the Brand Watch(tm) study from Kelley Blue Book Market Intelligence. Award calculated among non-luxury shoppers. For more information, visit www.kbb.com. Kelley Blue Book is a registered trademark of Kelley Blue Book Co., Inc. We are conveniently located just a few minutes West of Downtown Orlando, just off the Florida Turnpike between Winter Garden and Clermont! It’s one of the easiest drive in Central Florida! Remember: "Headquarter Honda Gets You There!" So take the easy drive from almost anywhere in Central Florida to visit us or just call one of our Professional Inventory Specialist for more information and schedule a VIP appointment. PRE-AUCTION PRICED! !, LOCATED AT HEADQUARTER HONDA..., No accident history and one owner on Carfax, Leather, Limited Lifetime Car Washes, Safety Inspected for Worry Free Driving, Well Maintained!, AS-IS NO WARRANTY, LIMITED FINANCING AVAILABLE, Highlander Limited, AWD, ABS brakes, Alloy wheels, Auto-dimming Rear-View mirror, Automatic temperature control, Electronic Stability Control, Front dual zone A/C, Front fog lights, Fully automatic headlights, Garage door transmitter: Homelink, Heated door mirrors, Roof rack: rails only, Speed-sensing steering, Steering wheel mounted A/C controls. Awards: * 2010 KBB.com Best Resale Value Awards We are conveniently located just a few minutes West of Downtown Orlando, just off the Florida Turnpike between Winter Garden and Clermont! It’s one of the easiest drive in Central Florida! Remember: "Headquarter Honda Gets You There!" So take the easy drive from almost anywhere in Central Florida to visit us or just call one of our Professional Inventory Specialist for more information and schedule a VIP appointment. Priced below KBB Fair Purchase Price! PRE-AUCTION PRICED! !, LOCATED AT HEADQUARTER Honda..., No accident history and one owner on Carfax, Limited Lifetime Car Washes, Safety Inspected and Serviced for Worry Free Driving, LOW FINANCING AVAILABLE, Brand New Brakes, Well Maintained!, EASY ON THE BUDGET, Civic EX, 8 Speakers, ABS brakes, Air Conditioning, Alloy wheels, Automatic temperature control, Electronic Stability Control, Exterior Parking Camera Rear, Fully automatic headlights, Illuminated entry, Power door mirrors, Power windows, Radio: 180-Watt AM/FM Audio System, Remote keyless entry, Security system, Speed control, Speed-sensing steering, Telescoping steering wheel. 31/41 City/Highway MPG Awards: * 2016 IIHS Top Safety Pick+ (When equipped with honda sensing) * NACTOY 2016 North American Car of the Year * 2016 KBB.com Brand Image Awards 2016 Kelley Blue Book Brand Image Awards are based on the Brand Watch(tm) study from Kelley Blue Book Market Intelligence. Award calculated among non-luxury shoppers. For more information, visit www.kbb.com. Kelley Blue Book is a registered trademark of Kelley Blue Book Co., Inc. We are conveniently located just a few minutes West of Downtown Orlando, just off the Florida Turnpike between Winter Garden and Clermont! It’s one of the easiest drive in Central Florida! Remember: "Headquarter Honda Gets You There!" So take the easy drive from almost anywhere in Central Florida to visit us or just call one of our Professional Inventory Specialist for more information and schedule a VIP appointment. PRE-AUCTION PRICED! !, LOCATED AT HEADQUARTER Honda..., No accident history and one owner on Carfax, Limited Lifetime Car Washes, LOW FINANCING AVAILABLE, Well Maintained!, CR-V LX, 16" x 6.5" Styled Steel Wheels, ABS brakes, AM/FM/CD Audio System w/4 Speakers, Delay-off headlights, Electronic Stability Control, Illuminated entry, Panic alarm, Power door mirrors, Remote keyless entry, Speed control, Speed-sensing steering, Steering wheel mounted audio controls, Telescoping steering wheel. Odometer is 18524 miles below market average! 23/31 City/Highway MPG Awards: * JD Power Initial Quality Study * 2012 IIHS Top Safety Pick (With Touring Model) * 2012 KBB.com Brand Image Awards 2016 Kelley Blue Book Brand Image Awards are based on the Brand Watch(tm) study from Kelley Blue Book Market Intelligence. Award calculated among non-luxury shoppers. For more information, visit www.kbb.com. Kelley Blue Book is a registered trademark of Kelley Blue Book Co., Inc. We are conveniently located just a few minutes West of Downtown Orlando, just off the Florida Turnpike between Winter Garden and Clermont! It’s one of the easiest drive in Central Florida! Remember: "Headquarter Honda Gets You There!" So take the easy drive from almost anywhere in Central Florida to visit us or just call one of our Professional Inventory Specialist for more information and schedule a VIP appointment. Priced below KBB Fair Purchase Price! PRE-AUCTION PRICED! !, LOCATED AT HEADQUARTER Honda..., No accident history and one owner on Carfax, Limited Lifetime Car Washes, Safety Inspected and Serviced for Worry Free Driving, LOW FINANCING AVAILABLE, Well Maintained!, EASY ON THE BUDGET, Civic EX w/Honda Sensing, ABS brakes, Air Conditioning, Alloy wheels, Automatic temperature control, Distance pacing cruise control: Adaptive Cruise Control with Low-Speed Follow, Electronic Stability Control, Exterior Parking Camera Rear, Fully automatic headlights, Heated door mirrors, Power moonroof, Power windows, Radio: 180-Watt AM/FM Audio System, Security system, Speed control, Speed-sensing steering, Steering wheel mounted audio controls. 31/41 City/Highway MPG Awards: * 2016 IIHS Top Safety Pick+ (When equipped with honda sensing) * NACTOY 2016 North American Car of the Year * 2016 KBB.com Brand Image Awards 2016 Kelley Blue Book Brand Image Awards are based on the Brand Watch(tm) study from Kelley Blue Book Market Intelligence. Award calculated among non-luxury shoppers. For more information, visit www.kbb.com. Kelley Blue Book is a registered trademark of Kelley Blue Book Co., Inc. We are conveniently located just a few minutes West of Downtown Orlando, just off the Florida Turnpike between Winter Garden and Clermont! It’s one of the easiest drive in Central Florida! Remember: "Headquarter Honda Gets You There!" So take the easy drive from almost anywhere in Central Florida to visit us or just call one of our Professional Inventory Specialist for more information and schedule a VIP appointment. Recent Arrival! Priced below KBB Fair Purchase Price! PRE-AUCTION PRICED! !, LOCATED AT HEADQUARTER HONDA..., Fresh Trade. Still in Service, Navigation, Leather, LOW FINANCING AVAILABLE, Well Maintained!, EASY ON THE BUDGET, Edge Limited, ABS brakes, Air Conditioning, AM/FM Stereo w/Single CD/MP3/Navigation, Front dual zone A/C, Integrated SIRIUS Travel Link, Power driver seat, Power steering, Power windows, Radio: Sony AM/FM Stereo w/HD Radio/MyFord Touch, SIRIUS Satellite Radio, Traction control. Odometer is 61469 miles below market average! 19/26 City/Highway MPG Awards: * 2011 IIHS Top Safety Pick (built after 2/11) * 2011 KBB.com Brand Image Awards We are conveniently located just a few minutes West of Downtown Orlando, just off the Florida Turnpike between Winter Garden and Clermont! It’s one of the easiest drive in Central Florida! Remember: "Headquarter Honda Gets You There!" So take the easy drive from almost anywhere in Central Florida to visit us or just call one of our Professional Inventory Specialist for more information and schedule a VIP appointment. Priced below KBB Fair Purchase Price! PRE-AUCTION PRICED! !, LOCATED AT HEADQUARTER Honda..., No accident history and one owner on Carfax, Limited Lifetime Car Washes, Safety Inspected and Serviced for Worry Free Driving, LOW FINANCING AVAILABLE, Balance of Remaining Factory Powertrain Warranty, New Tires, Well Maintained!, Civic LX, ABS brakes, Automatic temperature control, Electronic Stability Control, Exterior Parking Camera Rear, Fully automatic headlights, Power door mirrors, Radio: 160-Watt AM/FM Audio System, Remote keyless entry, Security system, Speed-sensing steering, Steering wheel mounted audio controls, Telescoping steering wheel. 31/41 City/Highway MPG Awards: * 2016 IIHS Top Safety Pick+ (When equipped with honda sensing) * NACTOY 2016 North American Car of the Year * 2016 KBB.com Brand Image Awards 2016 Kelley Blue Book Brand Image Awards are based on the Brand Watch(tm) study from Kelley Blue Book Market Intelligence. Award calculated among non-luxury shoppers. For more information, visit www.kbb.com. Kelley Blue Book is a registered trademark of Kelley Blue Book Co., Inc. We are conveniently located just a few minutes West of Downtown Orlando, just off the Florida Turnpike between Winter Garden and Clermont! It’s one of the easiest drive in Central Florida! Remember: "Headquarter Honda Gets You There!" So take the easy drive from almost anywhere in Central Florida to visit us or just call one of our Professional Inventory Specialist for more information and schedule a VIP appointment. Priced below KBB Fair Purchase Price! PRE-AUCTION PRICED! !, LOCATED AT HEADQUARTER Honda..., 4 Brand New Tires, Limited Lifetime Car Washes, Safety Inspected and Serviced for Worry Free Driving, LOW FINANCING AVAILABLE, Balance of Remaining Factory Powertrain Warranty, Well Maintained!, EASY ON THE BUDGET, Civic LX, 4 Speakers, ABS brakes, Air Conditioning, Front Center Armrest, Panic alarm, Passenger door bin, Power steering, Power windows, Radio: 160-Watt AM/FM Audio System, Rear window defroster, Remote keyless entry, Security system, Speed control, Traction control. 31/41 City/Highway MPG Awards: * 2016 IIHS Top Safety Pick+ (When equipped with honda sensing) * NACTOY 2016 North American Car of the Year * 2016 KBB.com Brand Image Awards 2016 Kelley Blue Book Brand Image Awards are based on the Brand Watch(tm) study from Kelley Blue Book Market Intelligence. Award calculated among non-luxury shoppers. For more information, visit www.kbb.com. Kelley Blue Book is a registered trademark of Kelley Blue Book Co., Inc. We are conveniently located just a few minutes West of Downtown Orlando, just off the Florida Turnpike between Winter Garden and Clermont! It’s one of the easiest drive in Central Florida! Remember: "Headquarter Honda Gets You There!" So take the easy drive from almost anywhere in Central Florida to visit us or just call one of our Professional Inventory Specialist for more information and schedule a VIP appointment. At Headquarter Mazda, we work hard to ensure that there’s a car out there for every budget. Because of this, we keep a stock of affordable used cars under 15k. If you’ve been looking for great used car deals, look no further than our Clermont dealership. Whether you’ve been on the hunt for a used Mazda or another make or model, you can find a budget-friendly option in our inventory. Apply for financing before even stepping foot in our showroom, and get ready to drive home knowing you got a great deal. 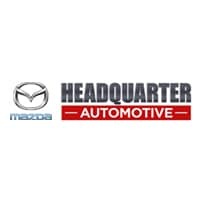 For cheap used cars for sale in Winter Garden, rely on Headquarter Mazda!